The men's gold medal match becomes a best-of-three while the deciding set in men's and women's doubles becomes a crucial 10-point match tiebreak. The best-of-five set format will now only be seen in Grand Slams for the men after the ITF has changed the gold medal match into a best-of-three set format. The change to the best-of-five to best-of-three is one of a couple of rule changes ahead of Tokyo 2020 for tennis. The second rule change will be in men's and women's doubles, the third set will be a 10-point match tiebreak when the score is tied at one-set all. This rule was set into place due to the sheer number of top players playing in all three events, shortening the final set. Andy Murray's gold medal match at Rio 2016 against Juan Martin del Potro will now go down as the last five-set match at the Olympics. Del Potro used a protected ranking to get into the event and saw off world number one Novak Djokovic in the first round then went the distance against Joao Sousa and Taro Daniel. His only other straight sets win came over Roberto Bautista Agut before surviving a slugfest against Rafael Nadal. The Argentine was tied at a set-all in the final but looked gassed due to fatigue. Murray on the other hand only dropped two sets before the final (Steve Johnson and Fabio Fognini) then steamrolled Kei Nishikori in his semifinal match. 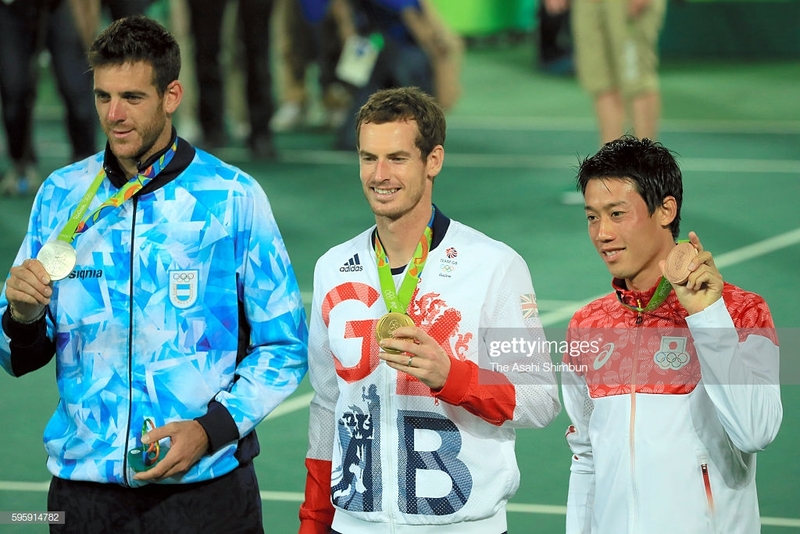 The lack of a grueling semifinal, as well as a fit Andy Murray, proved to be a huge difference in the end with the Brit taking home gold for the second consecutive year.